The RCMP is offering a reward of up to $5,000.00 to anyone who provides information leading to the location and arrest of Kevin Edward Brown. 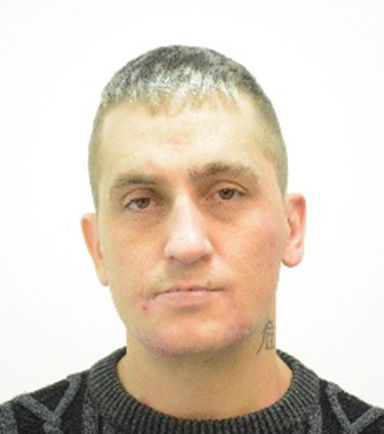 RCMP Alberta - The RCMP in Alberta is continuing in its efforts to locate and arrest 35-year-old Kevin Edward Brown who is wanted on a Canada-wide warrant of arrest for one count of first degree murder in the killing of Bradley Webber and one count of kidnapping of another unnamed individual. Bradley Webber's body was found in his fifth wheel trailer in Eckville, Alberta on October 24, 2006. Another man, Shayne Earl Gulka of Lacombe, was arrested and charged in the murder of Mr. Webber on March 10, 2016. He is awaiting trial in the matter. The RCMP is offering a reward of up to $5,000.00 to anyone who provides information leading to the location and arrest of Kevin Edward Brown. It is believed that Brown, originally from Calgary, is in either Alberta or British Columbia as he has contacts in both provinces. Kevin Edward Brown should not be approached as he is considered dangerous. Instead, if he is seen, the public is advised to call police or 911 immediately. Tattoos: Chinese symbol on left side of the neck, tribal design on right upper arm (tattoos may have been altered or removed). The RCMP requests that anyone with information about this case contact the RCMP Major Crimes Unit in Southern Alberta at 1-844-887-6287. Callers are advised that any information provided to the RCMP with respect to the location of Kevin Brown, will be treated with confidentiality.